Dylan Griffin and his dad Don Griffin spent a lot of time at the bike center last summer. I spoke with Don today about Dylan’s recent crania-facial surgery. The surgery took 10 hours but went well and Dylan is recovering nicely, Dylan should enjoy a much better quality of life as a result of the surgery. 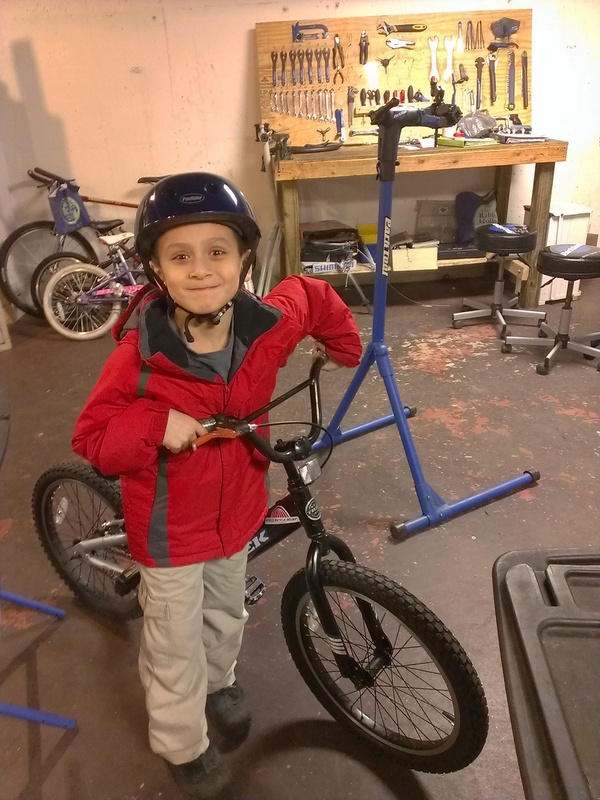 He is looking forward to coming back to the bike center to work on some more bikes. Arianna’s brother Ethan was able to finish rebuilding his Trek Jet on the same day as his sister finished her project. Ethan chose a nice shiny black helmet to go with his sister’s blue one. Congratulations Ethan! 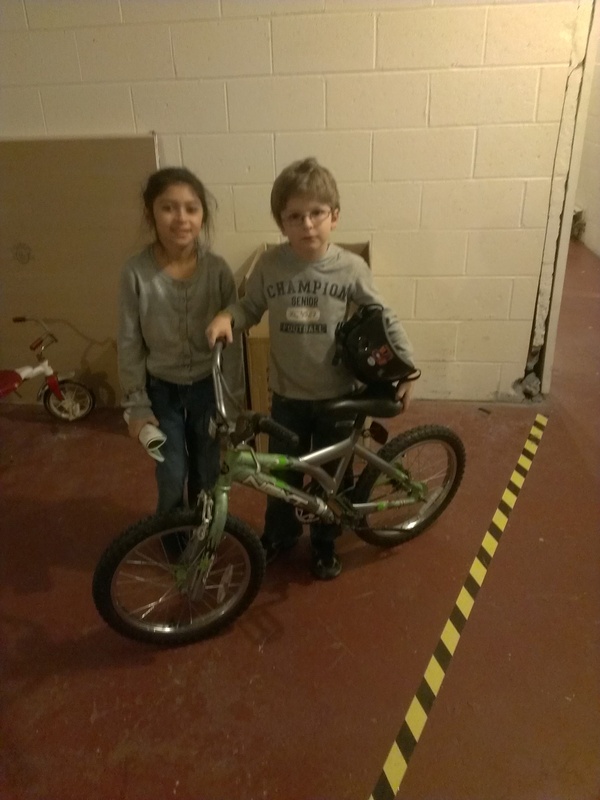 Arianna and Andrew each rebuilt an 18″ Next Surge for their new rides. After the G.O.G. (grumpy old guy) inspection each were fitted for a new helmet courtesy of the Maine Bike Helmet program and given safety instructions during a ride around the parking lot. Congratulations Arianna and Andrew! Thanks to the Maine Bicycle Helmet Program! 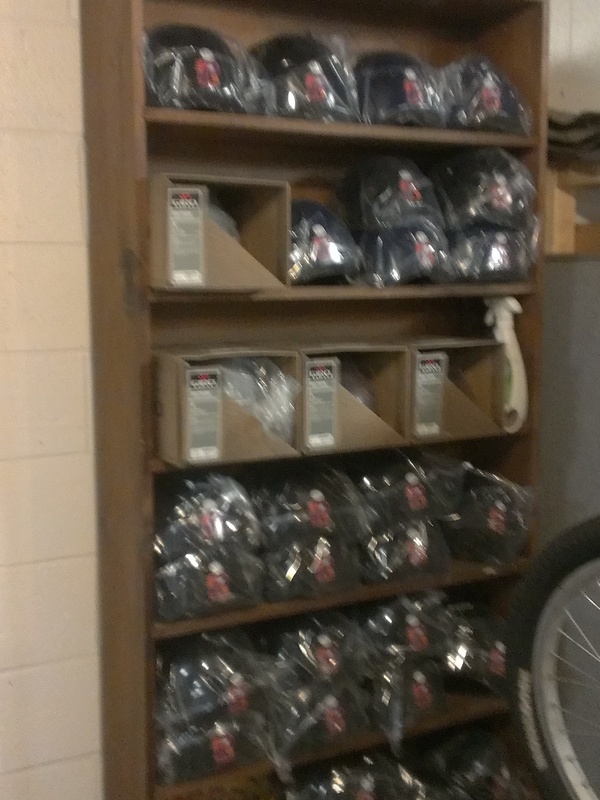 Three cartons of new bike helmets arrived for the new year at the Nasson Community Center. They are all BMX style, in blue and black. We will be equipping all our earn-a-bike participants with these helmets, and will be used on our bike rides also.